The School of Personal Flight (SPF) was founded in April, 2015 to teach Powered Paragliding in Northern New England. The mission of the School of Personal Flight is to teach student pilots the knowledge, judgement, and sense of adventure required to aviate safely and responsibly while realizing their dream of personal flight. Dave has been paragliding since 2008, and flying powered paragliders since 2010. Dave started instructing, first as an apprentice, then on his own, in 2013. 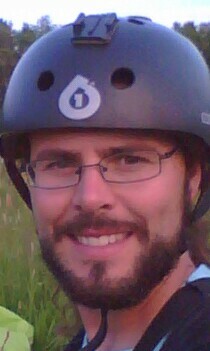 In 2015 he left his job at Boeing to teach Powered Paragliding full-time, and became a USPPA-certified instructor. The sport of Powered Paragliding has taken Dave to unusual places, from searching for a neighbor’s lost cat to a pirate invasion of Lubec, Maine. His off-season sport is cross-country free flight competition, a passion which has taken him across several countries and cost him more money than he’s made from it.